If you could have a drink with anyone in the theatre world, who would it be? 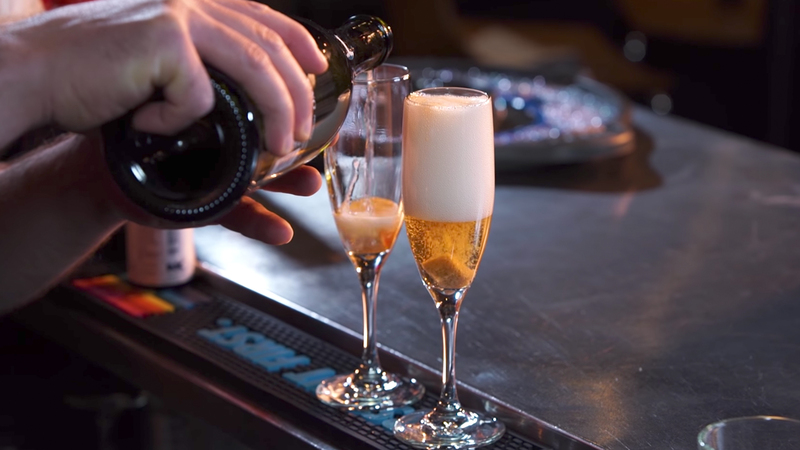 In this episode of Broadway Bartender, host Anthony Caporale welcomes Melody Yang from The Gazillion Bubble Show to the bar for some cocktails and bubbles! MELODY YANG has performed in bubble shows around the world since the early age of three. The youngest member of the Yang Family to join the bubble business, she follows in the footsteps of her parents, uncle, and brother in combining entertainment, art, and science for audiences of all ages. Melody’s first appearance as a part of a bubble show was with her brother Deni on Rai 1Italian Television, where she dazzled millions of Europeans with her charm. She then gained international acclaim with her brother at the Monte Carlo International Circus Festival (Monaco) in 1997, which was followed by numerous appearances on television shows in Italy, Greece, France, and USA. After being featured in bubble shows across the globe, Melody made her New York City debut with the Gazillion Bubble Show. Top off with Chilled Prosecco, leaving about an inch of space remaining.